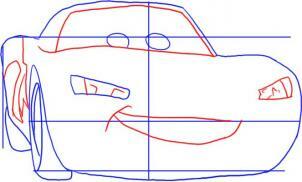 In this first step you will draw out the guidelines to aid you with the drawing of Lightning McQueen. 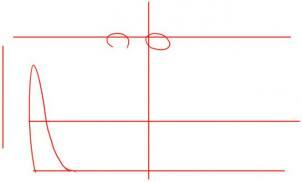 Start by drawing three simple lines going across your sheet of paper, then one line down the middle, and then another line going down off to the left hand side. In the middle draw out the shape of two circles for his eyes and on the left draw out the shape of his fender. Now here in this step you will be drawing out the shape of his body as shown using the guidelines that you drew in step 1. 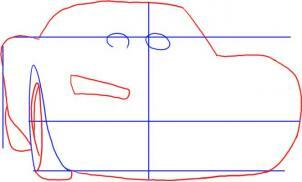 After you draw out the shape of the car, draw in the two tires and the front headlight. So far it's pretty simple huh. 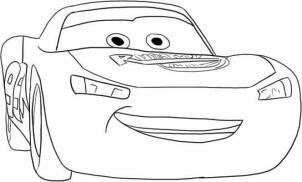 You will then start to draw out the front of McQueen by drawing out the windshield as shown. Next draw out his big smile along with his right headlight and detail them both. Now along the left side of the car draw out the lining for his numbers as you can see here. His racecar number is 95. In this last step of drawing you will be coloring in his pupils, and drawing out the windshield lids as shown. 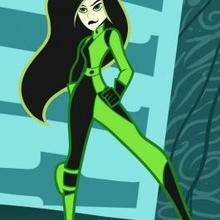 Now next draw out the shape of his hood along with the spelling of Rusteze. Detail the 95 on the side of his car and then draw out his teeth. Now erase all the guidelines and shapes you drew in step 1. 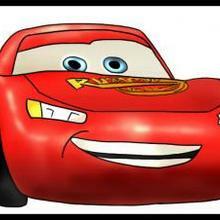 This is what your Lightning McQueen should look like after you are completely done drawing him. 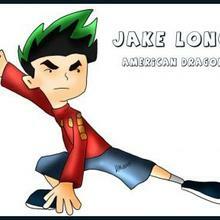 Now just color him in his bright shinny red and you are all set. 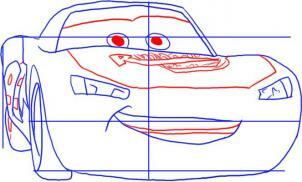 That will do it fro this tutorial on how to draw Cars Lightning McQueen.